With 2,000 attendees from 40 nations, the 14th World Stem Cell Summit and award-winning Phacilitate Leaders World conferences in Miami, Florida will take place January 22-25 at the Hyatt Regency in Miami, Florida. 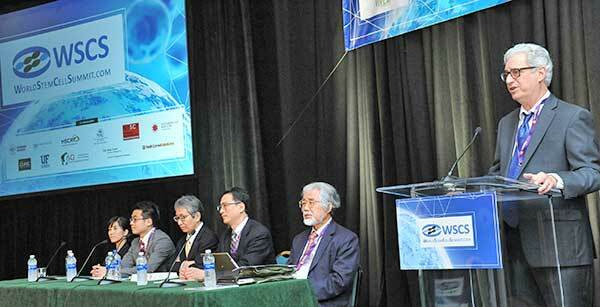 The World Stem Cell Summit is organized with respected and recognized medical research centers and advocacy groups. 2019 organizers and contributing institutions include: The Cure Alliance, Wake Forest Institute for Regenerative Medicine, Maryland Stem Cell Research Fund, Interdisciplinary Stem Cell Institute at University of Miami Miller School of Medicine, Weill Cornell Medicine, Mayo Clinic, Sanford Health, New York Stem Cell Foundation and Nova Southeastern University Cell Therapy Institute. Special events including the 14th Stem Cell Action & Regenerative Medicine Awards Gala Dinner sponsored by Avalon Globocare. Honorees: International Space Station U.S. National Lab; Lu Daopei Medical Group (China); Doug Oliver, MSW; Desiree Cox, MD, PhD; Robin Smith, MD, MBA. The Summit and Phacilitate programs are strategically designed to advance the field by providing you with inside information and context unavailable at any other single meeting. Hundreds of presentations featuring industry leaders, science luminaries, regulators, ethicists, legal experts and advocates. The Summit features exhibitions and provides a variety of small group events, social opportunities and partnering forum for fostering one-on-one interactions. Look forward to seeing you in Miami!